3 Swans greeting card from Sara Miller London. This enchanting card is beautifully finished with textured gold foil and embossed detail. 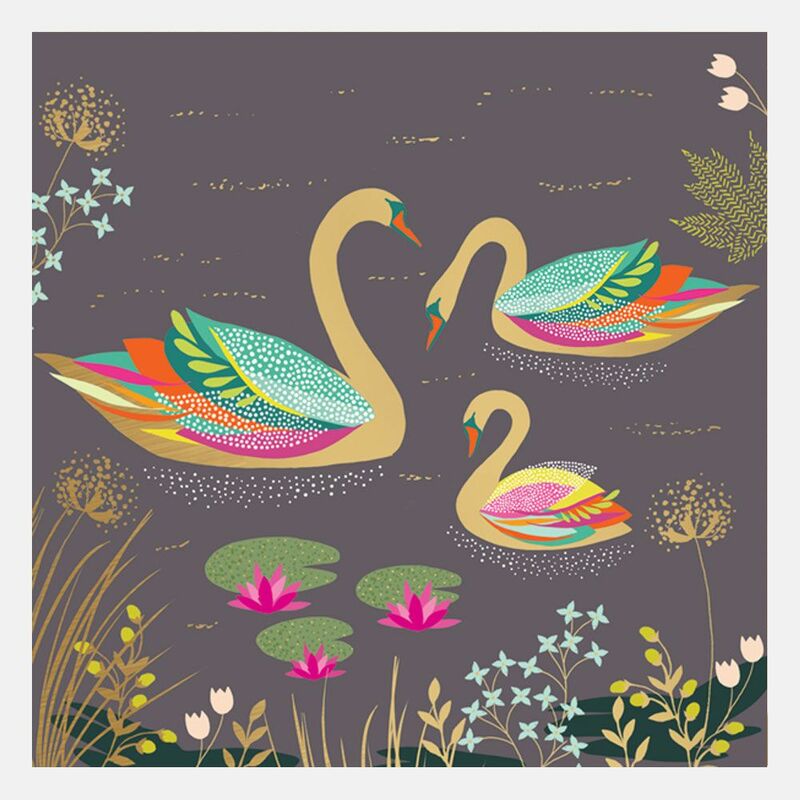 The Swans are embossed in gold with vibrant wing feathers in shades of turquoise, pink, orange and yellow. The card is blank inside for your own message.